Everyone knows about the Samsung brand. The company is known for its quality electronics products like mobiles & televisions. Samsung mobiles are a hit in market. Read the article to find details of the new Samsung Galaxy Ace smartphone. Samsung Galaxy Ace smartphone is popular for its design which looks similar to apple iPhone 4. This Android smartphone lies in a medium price range. The Samsung Galaxy Ace smartphone has a cool 3.5 inch TFT display with 320*480 pixels resolution. The Smartphone runs on Android 2.2 Operating System. It has Think-Free-office Application with Word and Spreadsheet editor. The phone also has applications like Facebook, MySpace and Twitter. You can get your notifications and latest updates in just one place. The Smartphone has a good 5 Megapixel camera with LED flash. The features of Samsung Galaxy Ace smartphone have been shaped according to consumer demand. The Smartphone has an 800 MHz processor. The disappointing thing is that you won’t be able to run multiple applications at a time. The battery life of this smartphone is good. You just need to charge it once in 2 days. Let's have a look at the specifications of Samsung Galaxy Ace. You will get a charger, a micro USB cable and a 2GB micro SD card with adapter. You will also find warranty-related & other documents in the box. This smartphone will cost you around Rs.18,290. Samsung Galaxy Ace is a value for money product. In the highly competitive mobile phone market, Samsung Galaxy Ace stands against some major brands. We have discussed here some of the competitors of Galaxy Ace. Samsung Galaxy Y is one of the competitors but if we compare it with Samsung Galaxy Ace, the latter is best any day. The Samsung Galaxy Y has low resolution display of only 240*320 pixels. It has a 2 Megapixel camera without LED flash. On the other hand, Samsung Galaxy Ace smartphone has a 5 Megapixel camera with flash. The Samsung Galaxy Ace has a 3.5 inch display screen whereas Galaxy Y has only a 3.0 inch screen. How to buy Samsung Galaxy Ace smartphone? 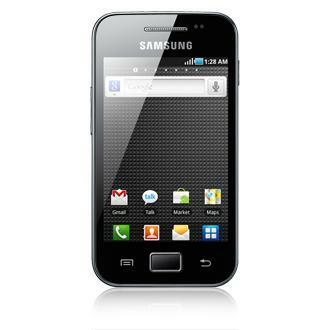 If you want to buy Samsung Galaxy Ace, search it in your nearby store. In case you want to buy it online, go to flipkart.com or any other trustworthy shopping portal. Are you thinking of buying Samsung Galaxy Ace 3? This is the smartphone, which has been launched by Samsung on June 10, 2013. Samsung Galaxy Ace 3 comes with some very good features like 1 GB RAM, 5 MP camera, dual core processors and Google's latest Android 4.2 (Jelly Bean) OS. Read this article for full details of the features, specifications, price and availability of Samsung Galaxy Ace 3 in India. The smartphone is likely to be available on online and offline stores very soon. If you are looking for the latest Samsung smartphone, then you are at the right place. Samsung is all set to release Samsung Galaxy Ace 3 smartphone of Ace series with new features and specifications. Read this article to know about the features and specifications of Samsung Galaxy Ace 3 smartphone.